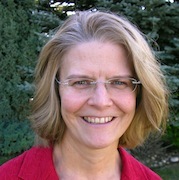 Jennifer A. Hoeting is a professor in the Department of Statistics at Colorado State University. She is co-author of a best-selling Wiley textbook on computational statistics that is in its second edition, and an award-winning teacher who co-leads large research efforts for the National Science Foundation and the U.S. Environmental Protection Agency. Jennifer has been advisor to more than 25 doctoral and masters’ students. She serves as an associate editor for the Journal of Agricultural, Biological, and Environmental Statistics (JABES), Environmetrics, and she has served as AE for three editors of the Journal of the American Statistical Association. She is former chair of the ASA Section of Statistics and the Environment and the Faculty Search Coordinator of the CSU College of Natural Sciences. Her research interests include spatial statistics, Bayesian methods, and model selection/model averaging. She earned both her master of science and doctoral degrees in statistics from the University of Washington in 1991 and 1994, respectively. Her undergraduate degree in statistics and psychology is from the University of Michigan.